How Chart Patterns Can Save You From Panic Selling? Yesterday Nifty opened 150 points down. Clear morning panic signal due to issues in Japan. In my Chart Pattern book I have a complete chapter on how to deal with morning panics and I am going to tell you how I applied the same yet again. I had an open position in Bhushan Steel yesterday (i.e. March 15 2011) and the chart of it did not look very pleasing in the morning. 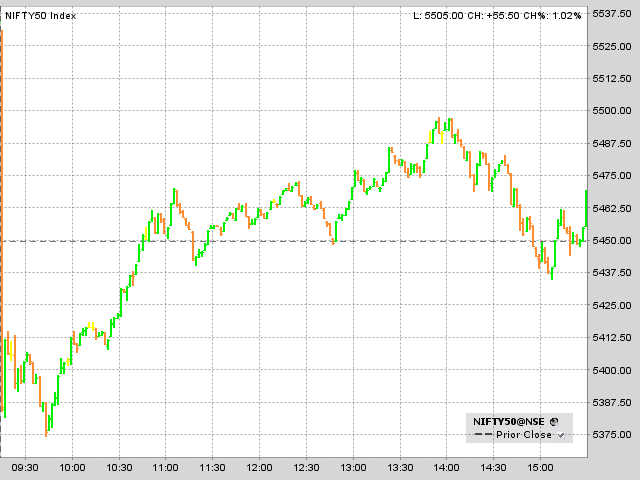 Still I manage to sell the stock at pretty high point of the day and a profitable trade. My objective to buy Bhushan steel was clear. I took a short term trading call in Bhushan Steel couple of days back and so I was into the stock just for trading purpose. 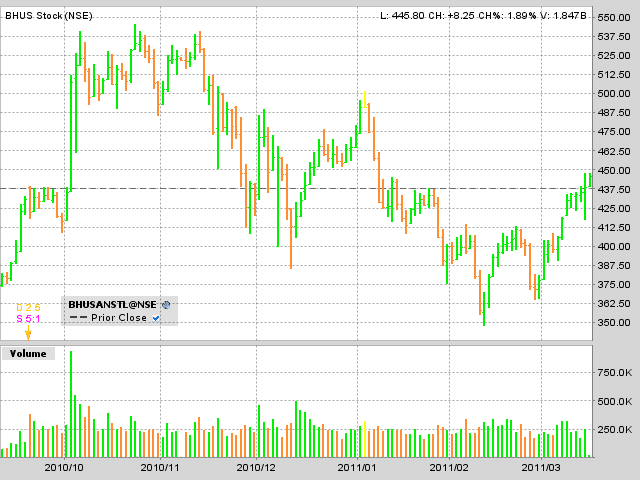 Took a very small position and that too in a commodity producing stock. Remember world commodity prices are soaring. Once I saw the morning panic I anticipated a bounce before an afternoon fade. The complete samples with examples is explained in my book. I had a stop loss of 413 for my position and the reason for the stop loss was because stock formed a W pattern and then a breakout pattern above 413. Four clear reasons for me not to panic but wait for an anticipated intraday bounce. 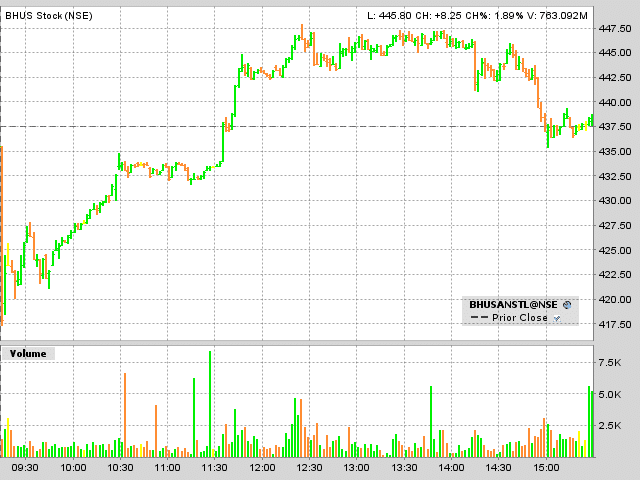 Clearly Charts can save you from a panic selling. Are you selling your position in a panic? If your answer is yes it’s time to get my ebook on Chart patterns and start reading. You are here: Home / Trading / How Chart Patterns Can Save You From Panic Selling?